If you or a loved one has been injured in a New York City elevator or escalator accident due to the negligence of another, an attorney at The Orlow Firm who is familiar with accident claim law can help you. 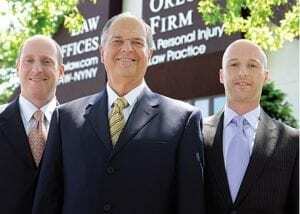 You will work directly with a partner at our firm, which we believe you should expect from any attorney that you hire. Contact our NYC elevator accident attorneys today for assistance in recovering compensation for your pain and suffering. Call (646) 647-3398 or send us an online message. If you have been injured or lost a loved one in a workplace elevator accident, the New York City elevator accident attorneys at The Orlow Firm can help you. We have handled third-party claims for hundreds of injury victims in NYC area, including numerous people injured in elevator accidents. Our NYC elevator accident attorneys will draw on decades of legal experience while advocating for your rights. We have handled thousands of cases, and we understand that each case is different. We will provide you with the personal attention you deserve while we work to maximize your compensation. Furthermore, elevator “accidents” are often not accidents at all. They may instead be the inevitable result of improper or defective construction of elevator shafts or improperly installed systems. Whatever the circumstances, our personal injury attorneys at The Orlow Firm can investigate if a defect or improper installation caused an elevator accident. We serve clients in Queens, Bronx, Brooklyn and throughout New York City. Contact us today for a free consultation. Call our New York City escalator accident lawyers at (646) 647-3398 or contact us online.